Rock Painting Fun Hits Sioux City! If you keep your eyes peeled, you may spot these rocks or other uniquely painted rocks around Siouxland! A creative new hobby is sweeping the country, and Sioux City families are discovering the fun of rock painting and hunting. To participate, paint rocks, hide them around town, and/or find rocks others have painted and hidden. That's it! The painted rock trend started as the Kindness Rocks movement. A woman named Megan in Cape Cod who loves finding interesting rocks, shells, and seaglass along the beach thought others might be cheered by finding fun rocks as well. 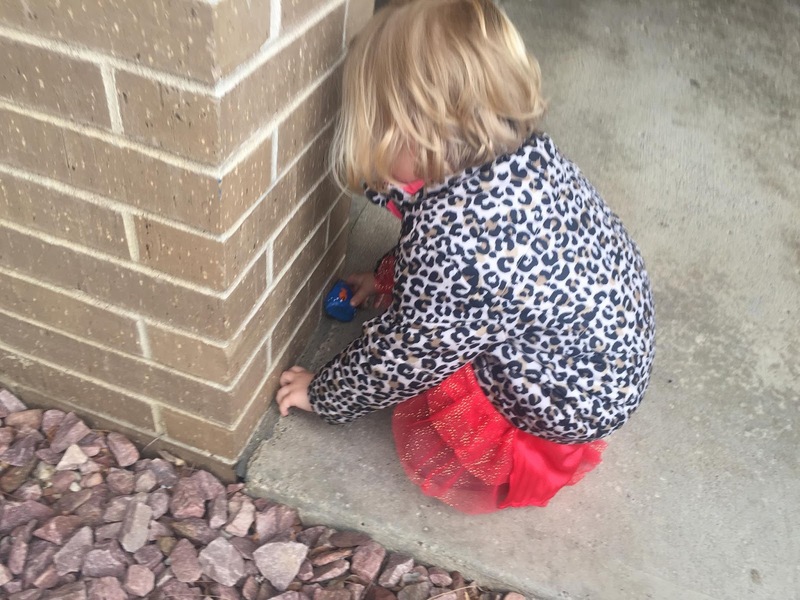 She started painting rocks and leaving them to be found by others. As she posted pictures to social media of her painted rocks, her friends and families wanted to join in on the fun, and it took off like wildfire. 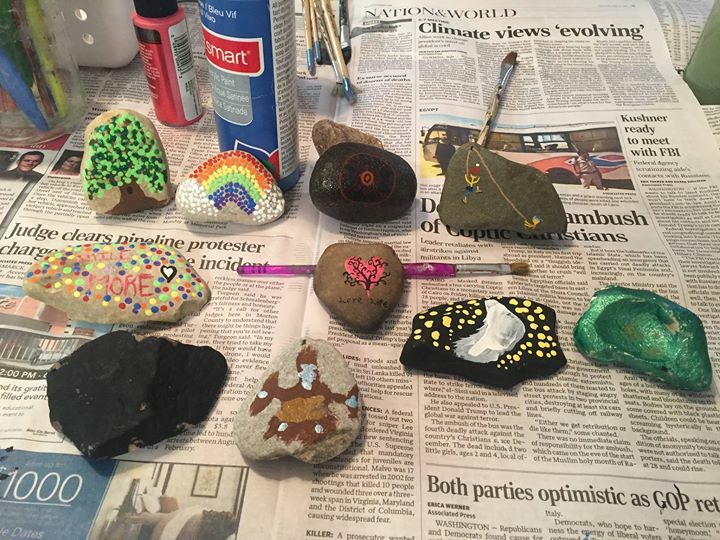 Now there are hundreds of groups around the country and world participating, including the Sioux City Rocks Facebook group where you can post pictures of rocks you've painted or found, or clues to where they may be hidden. How should you paint rocks? You can paint anything you want on your rocks, but because this is a family activity designed to bring joy to the community, think happy and appropriate for children! Paint things on your rocks that will make kids smile. For supplies, acrylic paints, paint pens, and sharpies are all great for creating your design, and mod podge and clear paint sealant are both effective at making your rock design long lasting. If possible, wash and dry your rocks thoroughly before painting. You can use any kind of rock you'd like; small fairly flat oval rocks like these seem to be amongst the most useful. Or one of the cheapest options if you're planning to paint lots is to buy a bag of landscape rocks like this from Menard's. Just make sure they are your own rocks or rocks that you have specific permission to paint. Wash and dry the rocks thoroughly before painting for best results. Where can you hide painted rocks? Dorothy Pecaut Nature Center: Yes! 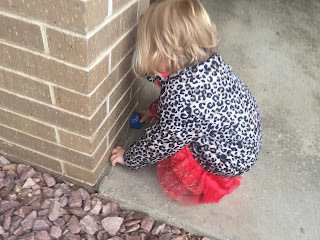 The nature center staff member I spoke with with loved the idea of spreading cheer by hiding painted rocks and said families can hide them at the nature center and grounds. Their only special restriction is to please not take the painted rocks that look like bees and ladybugs which serve as tic tac toe markers for the nature playscape. Southern Hills Mall: Yes! Southern Hills Mall said the idea sounds very fun, and that kids wishing to participate can hide rocks along the outside of the building near entrances as long as they do not pose a tripping hazard or block anyone's path. For safety reasons they requested no hiding rocks in the parking lot including the islands full of landscaping rocks and they do not allow any playing in the parking lot. Sioux City Public Museum: Yes! but only outside the museum. Please do not hide any rocks inside the museum. I have e-mailed a few other places that I haven't heard back from yet and will update when I do, but I'd love to know: what places in and around Sioux City would you like permission to hide painted rocks? If you hear back from a place in town, or are a business owner who would like to give permission or prohibit rock hiding on your property, please e-mail me! Thank you to the Sioux City Rocks Facebook group for giving permission to use some of their photos! Amazon links are affiliate links, which doesn't change your price, but means I may get a tiny bit of Amazon's profit from your purchase if you choose to buy.